How many Sisters of Charity of Seton Hill are there? The Sisters of Charity of Seton Hill number 345 members living and working in two provinces. The United States Province numbers 147 members and the Korean Province numbers 198. Where are the Sisters of Charity of Seton Hill located and where do they serve? Can I request a Mass for my loved ones through the Sisters of Charity of Seton Hill? We are unable to accept Mass requests and stipends at this time, because we would not be able to schedule them in a reasonable amount of time. Please see the information about making a gift in honor of or in memory of someone as another option for remembering your loved ones. 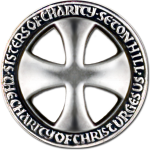 Does the Diocese financially support the Sisters of Charity? While the Sisters of Charity of Seton Hill live and serve in many dioceses throughout the United States, we are not subsidized in any way by diocesan funding. What is your relationship to Seton Hill University? The Sisters of Charity of Seton Hill and Seton Hill University are two separate entities operating under separate budgets and financial obligations. The Sisters of Charity of Seton Hill founded Seton Hill University. The Sisters of Charity of Seton Hill own the property on which Seton Hill University is located and have leased the property to the University for $1 per year for a period of 99 years. Early presidents of the college were the Mother Superiors of the Congregation. The first priest-president was appointed in 1925 with the Congregation maintaining oversight of the college through the Board of Corporators. The first lay president, Eileen Farrell, was appointed in 1977. As these changes in administration occurred, the Sisters of Charity have remained involved with Seton Hill University as administrators, faculty members, and members of the Board of Trustees. How can I make a donation to the Sisters of Charity of Seton Hill? Call our Advancement department to discuss giving opportunities. Visit our You Can Help section for more detailed information about giving opportunities. Use any of our convenient giving options to begin the process. For a gift in honor of someone, please be prepared to provide the name and mailing address of the honoree. We will send a letter to the honoree acknowledging your gift. For a gift in memory of someone, please provide the name of the person you are remembering. You may also provide the name and mailing address of the person you would like to receive an acknowledgment of your gift (optional). Again, we will send them a letter to let them know your intentions. The amount of your gift is never disclosed. Yes. Please follow the easy instruction through our on-line giving link to make a donation using your credit card.